In addition to Mr. Barr’s review of the F.B.I. investigation, the Justice Department’s inspector general, a specially tasked United States attorney and Republicans in Congress are all studying key actions taken during the course of the inquiry, including how officials opened the Trump-Russia investigation, called Crossfire Hurricane, and obtained a secret warrant to wiretap a former Trump campaign adviser. Mr. Trump’s thirst for a reckoning among his inquisitors appears to have only grown in recent weeks. Minutes before Mr. Barr took the witness stand on Wednesday, the president called the investigation an “attempted coup” and claimed, again, that he had been “totally exonerated” by the report, despite the fact that Mr. Mueller explicitly said he could not clear the president of trying to obstruct justice. Robert S. Mueller III, the special counsel who took over the F.B.I.’s Russia investigation in 2017, delivered his nearly 400 pages of findings to Mr. Barr late last month. 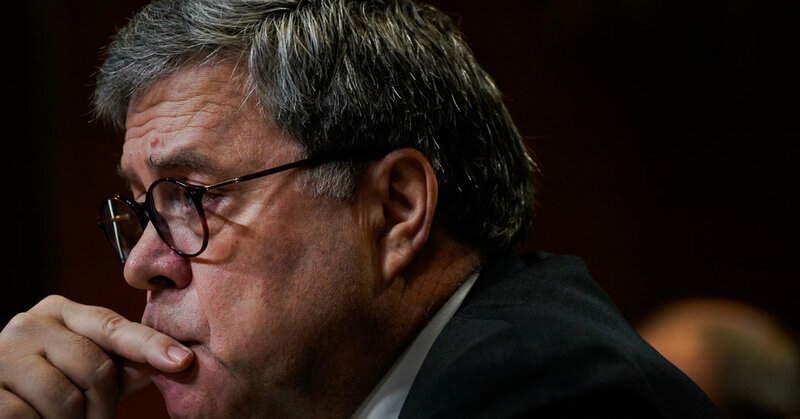 Much of Wednesday’s hearing, and an earlier session with House lawmakers on Tuesday, was focused on that report, on continuing redactions of delicate information before it becomes public, and on Mr. Barr’s characterization of what Mr. Mueller found.